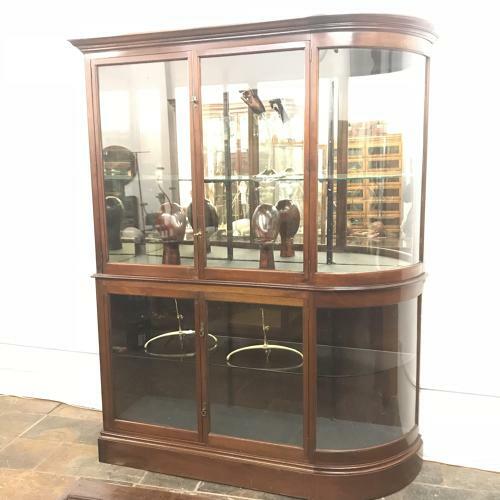 This is a very nice Victorian mahogany and bow glass shop display cabinet - this is a perfect shop cabinet to add that finishing touch. It comes in two section for easy transport. There is two adjustable glass shelves. More shelves can be added at extra cost.